Easy Tint provides home and office tinting installations. Situated in a competitive industry, the client wanted to reach an untapped audience base through online marketing. Providing web design, web development, and copywriting services, we aimed to create a website that would be a lead-generating machine while tailoring our package to the client’s budget. 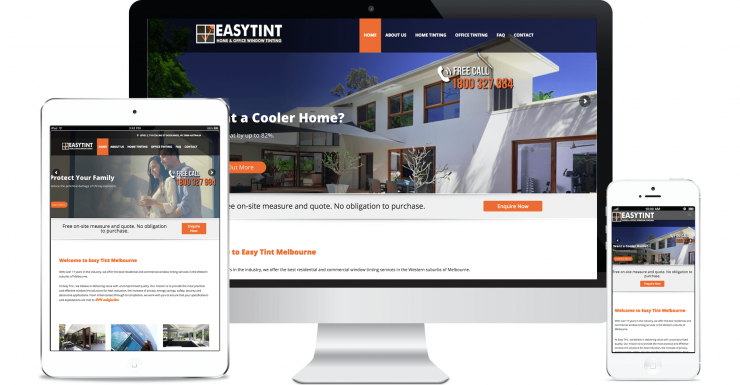 We continue to assist Easy Tint in Adwords and SEO as part of an ongoing goal to achieve higher conversions.